When LG unveiled the LG G Pro 2, they also announced a new software feature dubbed Knock Code. 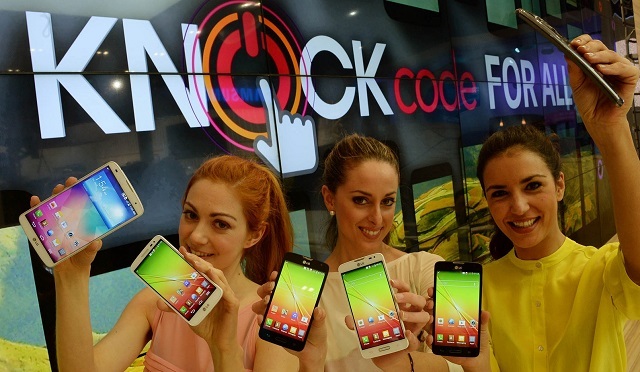 Now, LG has announced that the Knock Code feature will come to the LG G2 and also the LG G Flex. Knock Code is a new enhancement to the Knock On feature we saw with the LG G2 last year. Knock Code allows you to set a pattern of knocks on the display to unlock your LG smartphone. According to LG, more than 50 percent of participants in a recent survey selected Knock Code as the most anticipated feature of G Pro 2. It’s no fluke that the LG G Pro 2 has been selling quite well. The Knock Code comes installed on the LG G Pro 2, and it is also available on some recent LG smartphones – G2 Mini, F90, F70, L90, L70 and L40. LG has announced that the feature will come to the G2 and G Flex through an update in April. We should get more exact dates in April and as always we’ll let you know.